You are on the main floor lobby of the Wells Fargo Center(formerly the Norwest Tower) at Marquette and 6th Street. Norwest merged with Wells Fargo recently, and the name given to the new corporation was Wells Fargo. 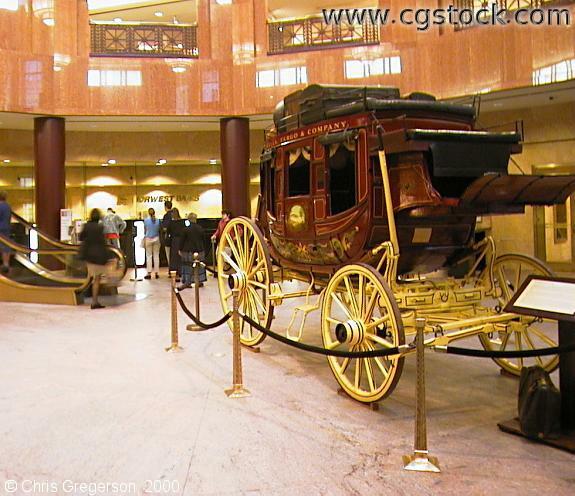 I recognized this stagecoach from the time I spent in California(it's used in TV commercials for the bank).